A friend posted this to her Facebook just now. I felt compelled to share with everyone that I know. Please, read, absorb, follow through and pass it on. "Long ago you came to me, a miracle of firsts. The last time that you crawled across the floor of this old house. Last time when you said you'd marry me when you grew old. Would I have held you longer if I'd known they were the last? Last at bat in Little League, last colored paper made..
Last time when you wore your beat-up Green Bay Packers cap. Silly scattered images to represent your past. Would I have taken pictures...if I'd known they were the last? When last I read to you of God or Horton Hears a Who! Last time that we held devotions in the evening hours. Last time that you made an angel in the melting snow. I never even said good-bye to yesterdays long passed. Would I have marked the moments...if I'd known they were the last? The last few weeks of middle school, last flowers that you picked. The last time that you spent the night with that old tattered bear. Last time when I shouted your room was a mess. Time and life moved quicker, taking pieces of your past. Would I have stretched the moments...if I'd known they were the last? Last time that you asked me for advice about romance. Last time that you talked to me about your hopes and dreams. Last time that you wore a jersey for your high school team. I watched you grow and never noticed seasons as they passed. I wish I could've frozen time, to hold on to your lasts. For come tomorrow morning life will never be the same. You'll pledge forever to your girl, and she will take your name. And I will watch you, knowing God has blessed you with this day. I never would have wanted, Luke, to somehow make you stay. They say a son's a son until he takes for him a wife. You're grown-up now; it's time to go and start your brand new life. I'll watch you leave and think how quickly childhood sped past. Would I have held on longer....if I'd known it was your last?" 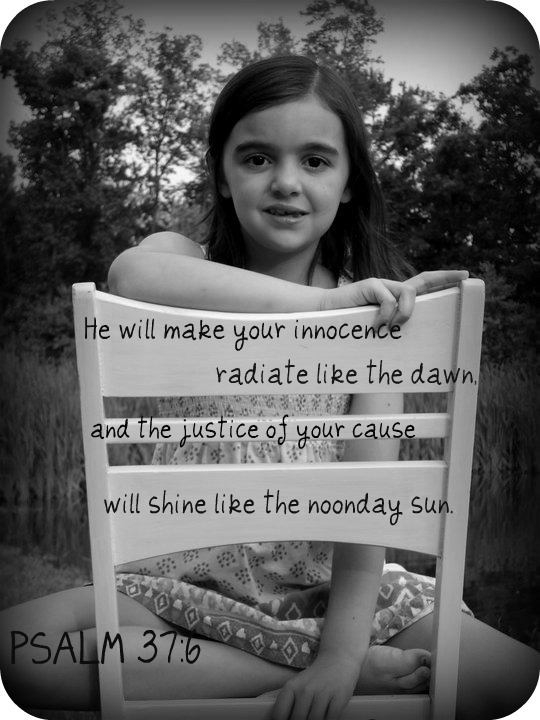 Poem was quoted from the book, "Rejoice", by Karen Kingsbury. Many times I am asked how I get through the day without crying. I answer that honestly, some days I don't. Some days I do cry, I do get angry. I think that's normal. But overall, I know that we are blessed, despite our trials. Of course I have days that I wish that our daughter wasn't battling a chronic, painful disease. But, that's the hand we were dealt. I recently had a friend tell me that she is "Currently having a disagreement with God." You see her son was diagnosed with a chronic illness. She hasn't yet seen the gift in it. Or, possibly she has, but still can't "forgive God" if you will. That may offend some people but that's how I see it. When we or a loved one are handed a crappy deal, we get angry with God. What do you do when you are angry? Stay angry, or forgive. I see the blessings that her sons disease has put in her life, I think she does too, but she isn't THERE yet. For the most part, I am okay with where we are. Sure, Jenna has daily pain, wakes up stiff and unable to bend her legs or flex her feet, takes way too many medications, gets sick from those medications, has muscle weakness, walks with a limp, struggles to keep up with her peers. But you know what? I have recently learned to just watch her, just silently observe. I'm still not sure if she even notices any of these things about herself, but if she does, she doesn't seem to mind. So why should I? She adjusts and presses on, so why shouldn't I? She really is quite amazing! Just last night I was watching her sit in the recliner, playing her brother's guitar (she is teaching herself!). She stopped strumming, wiggled around, adjusted her legs, sat and looked at them for a moment, it was clear they were hurting her, then she settled and began strumming again. AMAZING! Yesterday morning I heard her coming down the stairs on her bum, slowly, because her legs and feet weren't cooperating. When she got to the bottom, she stood up, got her backpack and went about the tasks of getting ready for school. AMAZING! There is beauty in everything, even in suffering. It is up to US to find that beauty! Some of the most beautiful man made things I have ever seen were all the amazing stained glass windows in Paris. They remind me of Eleanor. When the world looks at her unfortunately they see a bunch of broken glass and pieces that don't fit perfectly. When I see her I see all the small pieces coming together, the many breathtaking colors forming an awesome little girl.I will never understand why God made her so different but I know that she was made perfect and in His image. She is exactly the little girl He knew she would be and I am blessed beyond belief to not only know her but to be able to say she is MINE!